Wix VS. WordPress - Pros and cons - Is Wix or WordPress SEO friendly? Most businesses know by now that not having a business website can seriously hurt their bottom line. What a lot of business owners struggle with is making that first step towards creating an online presence and where to start. In this blog, we are going to look at Wix vs WordPress and help you decide if either of these options could work for you. 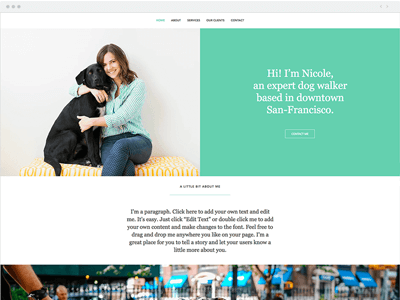 Wix is primarily an easy to use and fully customisable website builder that enables you (or a professional) to create your business website. The Wix editor gives you the freedom to tweak the look of the website yourself, however, if you are not that confident you have the option of a free design with Wix Artificial Design Intelligence. For a basic site the hosting is free if you use a Wix subdomain, BUT, if you are creating a business site, you will want to consider their premium plans. There are two primary types of premium plans at Wix. As this will be the face of your business, we advise you to look at the business plans for more features and greater flexibility. 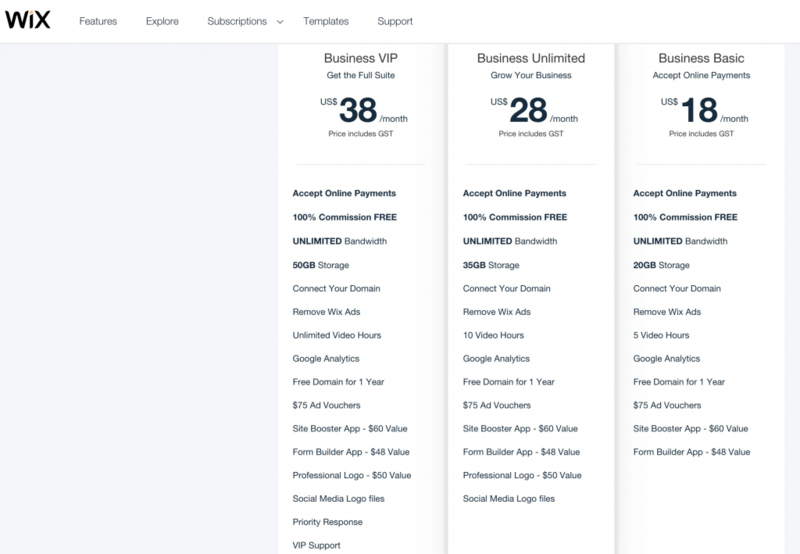 You can choose from Business Basic ($18 USD per month), Business Unlimited ($28 USD per month) or Business VIP ($38 USD per month). They all accept online payments but vary on the amount of storage, video hours and other features. You can transfer your domain over to Wix or buy a dedicated domain from them at an additional cost. There is also the option to add an existing domain to Wix by updating your domain records. · A wide range of pricing plans to suit everybody’s needs. · User-friendly interface that is drag and drop for easy editing. 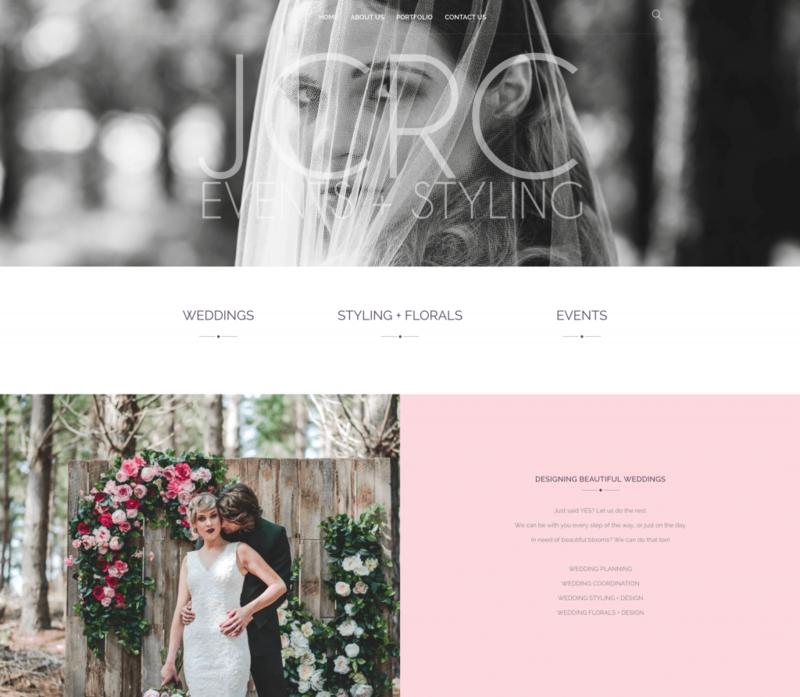 · A diverse range of free templates. · Get your site online quickly. · Has optimisation for mobile devices. · Adapts for accessibility for various browsers. · Optimised for speed on Wix servers. · Wix looks after security for you. · Continuous product improvement from Wix which keeps up with market trends. · Wix support is readily available and there is a great Facebook community available. · Cannot export data if you want to change providers in the future. · Slower page loading times than other options. · Wix ads on your website – if not a paid version. · More comprehensive design elements can be time-consuming and difficult if not already part of the chosen template. · Templates cannot be changed once the site has been created and content added. · Limited Apps (plugins) available for the Wix platform. There has been a lot of debate about the search engine optimisation (SEO) capabilities of Wix over the years. The good thing is that they have listened and worked on improving this aspect of their websites. They have added the Wix SEO Wiz tool but you need to use this in conjunction with an overall strategy to maximise your SEO across your website. Here is an in-depth look at SEO for Wix. “I’m a WordPress woman through and through (I have 8 WordPress websites) but I would say that there is an argument for Wix on some occasions. If you’re just starting out and want a quick easy website then the learning curve for Wix is much easier, at first you’ll be driving traffic mostly via socials and word of mouth so Wix helps you get to market faster. I recently compared the SEO features between WordPress and the gap is shrinking. There are two options with WordPress. Today we are talking about the self-hosted option where you download and add the WordPress content management system (CMS) to your own web address. If you are not sure of the difference between the two, check out our WordPress comparison post here. At WordPress.org you can download their CMS that can easily be added to the domain of your choice. Hosting and support are separate and you will need to choose a provider that suits your needs. Often you can source your hosting provider and download WordPress directly into what is called a control panel or cPanel. Gutenberg is a recent and optional addition to the WordPress CMS. It’s a new site builder that makes the process of adding rich content simpler. Instead of using customised HTML, content is added within this visual editor using content blocks. It enables more advanced layouts using a drag and drop method which is great news for users at the beginner’s end of the spectrum. It gives you more control over the look of your site and access to an array of new features. It’s not perfect yet but is moving in the right direction. Other site builders such as Elementor, Visual Composer and Beaver etc. can also be used with WordPress. The advantage of Gutenberg is that it is an inbuilt feature that can be turned on. WordPress is free to download. You will need to pay for hosting. There is a wide range of templates free for you to use and over 54,000 plugins (some paid) that you can use to customise your website. Looking for a web host? Check out our green web hosting plans. · Free download of basic CMS with access to templates and thousands of plugins. · Flexibility to move the website to different providers when needed. · Greater flexibility with customising templates or creating your design from scratch. · Simple to set up for DIY website builders – for the basics. · Updates are readily available to fix bugs. · Quick page loading times – depending on the content you add. · A large developer community creating and updating new plugins and template constantly. · Optimised for mobile devices. · Plenty of online resources available, Facebook groups and tutorial videos. · No free hosting option. 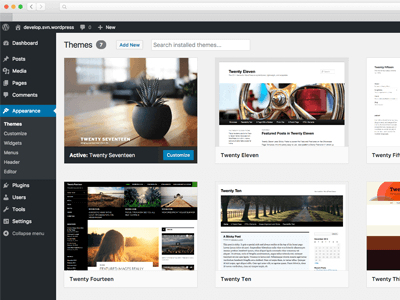 · The site owner installs updates for themes, the CMS and plugins. · Can be difficult to navigate or use if not familiar with CMS systems. · May require a developer for customisation, plugin conflicts or other issues. · Regularly needs to be updated to prevent further breakages or security issues. · Needs independent security solutions added to prevent hacking. There are lots of ways of improving the SEO on any website. With WordPress one of the key things that you can do is to add plugins to improve your visibility like WordPress SEO by Yoast. There are many others to choose from to help you maximise your SEO, and they can be accessed via the plugin option on your dashboard. WordPress also allows you to make custom code changes, which means you are not limited to your SEO options, unlike other site builders out there. Is Wix better than WordPress? They are very different options, and the one you choose will be the option that suits your needs best. WordPress has more flexibility to add advanced features and download your content if you need to. Whereas, Wix is an all in one solution that may best suit your business as a quick and easy standalone option. Confused? Don’t be. Contact us at LYF Solutions, and we will help you find the solution that is best for your business.